Rufus McIntire was born on December 19, 1784, in York County, Maine. He graduated from Dartmouth College in 1809 and then took up the study of law. Entering into military service during the War of 1812, he was commissioned as captain of a company in the 3rd United States Army Artillery Regiment. He served for eighteen months, based mainly at Sackets Harbor, a center for naval shipbuilding in northern New York. The thirteen letters (one with a sketch of the cantonment at Plattsburgh) in this collection date from McIntire's service during the War of 1812, providing a unique, first-hand account of this turbulent time in New York and U.S. history. McIntire letters, with transcriptions (43.6 MB) - There are 13 letters written to John Holmes in Maine between May of 1813, when McIntire was en route to Sackets Harbor, and March of 1815, shortly after the war had ended. The PDF includes scans of all the letters, followed by transcriptions of them. Stories from Our Collections: Rufus McIntire and the War of 1812 (audio file) - This 16-minute podcast includes excerpts from several of McIntire's letters, highlighting some of his experiences in New York and Canada, while placing them in context within the larger war. Timeline of McIntire's letters - This timeline, like the podcast, helps to place the events McIntire wrote about within the larger context of the War of 1812. Map of New York showing McIntire's journeys - This map (created in Google Maps) shows the locations referred to in McIntire's letters, tracing the paths of his initial journey to Sackets Harbor and the St. Lawrence and Niagara Campaigns. 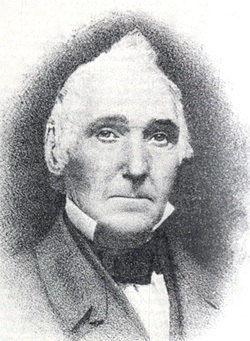 After the war, Rufus McIntire returned his home in Parsonsfield, Maine to resume his law practice and also became active in politics and government, at both the state and federal level. He was involved in efforts that led to Maine becoming a state in 1820, and served as one of its first state legislators. From 1827 to 1835, he served as a representative in the United States Congress. In 1840 McIntire was appointed a U.S. Marshal by President James K. Polk. Image of Rufus McIntire in his later years. Selected Primary Documents on the War of 1812 -- Information about selected primary source materials in the NYS Library's collectiuons that relate to the War of 1812, including diaries, letters, orderly books, pension claim documents, personal papers, broadsides, maps, printed ballads and songbooks, prints, and newspapers, as well as contemporary published memoirs and histories of the conflict. Multiple Perspectives on the War of 1812 (PBS LearningMedia) - Six-part video and lesson plan about the War of 1812.